Growing up in South Carolina, I am no stranger to bluegrass music. Steeped in Western NC and Eastern TN, it is a musical genre most any Carolinian has as some point heard. Western NC in general and the greater Asheville, NC specifically is an area growing in all styles of music, particularly native NC music, particularly Folk and Bluegrass. And it is in those traditions the group Tellico created their most recent release. This is, however, Bluegrass with a twist because producer John Doyle and engineer David Arnold introduced a British Isles / Irish type of influence throughout the recording. 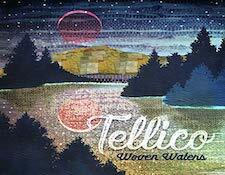 Tellico has won numerous Bluegrass awards and "Woven Waters" certainly explains why. The guitar and vocals of lead singer Anya Hinkle not only has a "Bluegrass" sound, she also has a stellar voice. All the instruments of Bluegrass are there - Guitar, mandolin, dobro, lap steel guitar, acoustic bass and harmonica. While not so remarkable on their own, the combination of these instruments, along with superb arrangements, serve to make "Waters" an excellent representative of modern Bluegrass. When you factor in the Celtic influences, it makes this a really superb work. It might be said that one Bluegrass themed work is not enough and if true, don't worry - here is a second one. "Aeonic," the second work by another group from Western NC, Balsam Range, is a collection of eleven tracks all exemplified by wonderful storytelling. On some level, a song is supposed to tell a story and here, that maxim is not overlooked. I always appreciate a song, or collection of songs that entices me to listen to the words. On "Aeonic" I found myself intently listening to the story being told on more than one of the elven tracks. Not to be dismissed was an excellent musical portrayal of what makes Bluegrass / Folk what it is. Five of the eleven tracks were very upbeat, with fast paced guitars and mandolins. The rest ranged between a slow melodic pace and something just short of what I would call fast paced. 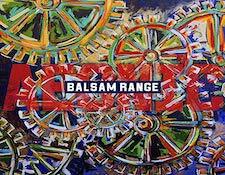 Balsam Range has won two International Bluegrass Music Association Entertainer of the Year awards, performed with the Atlanta Pops Orchestra and won numerous other industry awards. Individually, with awards like Bluegrass Vocalist of the Year, IBMA Song of the Year, IBMA Bass Player of the Year, and well, it should be obvious the accolades are widespread. What Balsam Range has managed to accomplish with "Aeonic" is create a work that is both musically as well as lyrically interesting and pleasing - something any band seeks to accomplish. If you like Bluegrass, don't miss this one. It is not uncommon for various musical genres to have themes. Country and other similar genres lean towards working for a living, beer and love. Americana music tends to be just what the name implies. Rock and roll, rap, R&B, well, they are all indicative of something. When track one, "Stealing Starlight" began, I thought, "okay, folk based music." Good enough. Imagine my surprise when I heard the line "I see him crawling up the wall / I've taken all the Adderall." Not exactly what I expected. What followed was a mostly simple, mostly guitar centric, mostly collection of variously melodic musical styles of well-crafted songs in the Americana, blues, folk and even a tinge of Gospel thrown in for good measure. Sadly, most of the songs were written while Foehl had put his career on hold to care for his Mother who was suffering from Lymphoma. 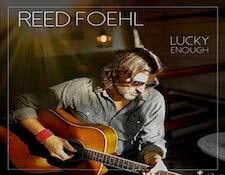 This is music from Foehl's heart, music that touched his soul. Perhaps that explains the aforementioned line from Track One. Perhaps it was nothing more than poetic license. Regardless of how any of these songs were crafted, they are all well-crafted and each one gives the listener something to think about and maybe liken to a time past. Normally, songs that don't race on with abandon and don't have complex melodies are not interesting to me. In this case, I found myself completely interested in what a gifted storyteller had to say. If the artist's name and title of the work are not revealing of what is on the inside of "Sugar Cane," I will let the cat out of the bag and report this is stylistically Latin Jazz / Traditional Jazz. As I listened, I kept thinking I was hearing a Cuban influence, despite Lira being from Brazil. 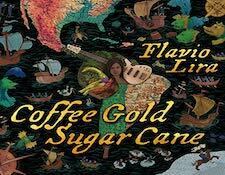 I kept thinking that "Coffee" had a style influenced by some of the South American and Cuban jazz greats - like, for instance, Arturo Sandoval. But this was a guitar work and not horn based, as was Sandoval. In any case, and regardless of his influences, if there are any, Lira has released a Latin based, Traditional Jazz work that moves along with a smoothness and ferocity like that of a peaceful river leading to a waterfall. Perhaps even more amazing, in order to create the complete project, Lira assembled thirty-eight different musicians from fifteen different countries. Talk about a culmination of cultures. Jazz, Latin Jazz, Samba, it is all there, displayed in stunning fashion. I am always impressed when during a music review I forget to take notes and just enjoy listening to the music. And that was certainly the case here. Highly recommended. Born and raised in California, Carr began playing violin but switched to guitar very early and as a classically trained guitarist, played in venues around Santa Cruz, CA. While attending the prestigious Berklee College of Music in Boston, Carr was chosen to play for Ray Charles and wound up touring worldwide with Charles for ten years. 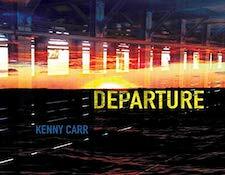 Upon Charles' death, Carr struck out on his own and "Departure" is his sixth work of all original music. This is a straight up, traditional work of Jazz. I say straight up jazz but not really because there is a noticeable difference here. I found this to be harder edged and resplendent of a contemporary jazz presentation. Carr not only plays guitar, but also synthesizer and is joined by sax, drums, percussion and bass. Do not let the apparent simplicity of "Departure" fool you. This is a magnificent work, one that I found myself sneaking the volume higher and higher throughout the review process. I was also impressed with the recording itself as I found it to be very well recorded and, on my system, displayed excellent imaging. What Carr has accomplished is to release a work that strikes a balance between the bebop sound of traditional jazz and the more smooth, melodic nature of contemporary jazz. And I thought it was great.